Organizing and culling your e-mail inbox is not a fun task, to be sure. Particularly if you have a backlog, it can seem very overwhelming. But digital organization can be even easier than than the physical kind, I promise. A few weeks ago, I set up small survey and asked what kind of topics you'd be interested in hearing more about, and digital decluttering and organization topped the list, everything from photos on your phone to going paperless, so you aren't alone if this is a problem for you. Inboxes were a concern across the board, so it seemed like a good place to start. Because although time-consuming, it's not as difficult as you think. 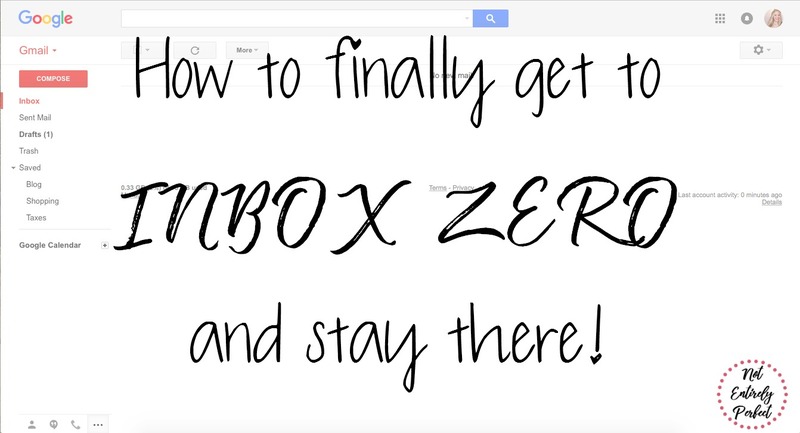 And once the system is in place, keeping your inbox clean will be a breeze. Getting a handle on your inbox follows the same process as organizing any physical space in your home. First you stop the flow of what's coming in, then you decluttering what's already there in the space, and then you organize what's left and allow for future changes. In terms of organizing your closet, this would mean you first stop shopping, then declutter the clothes you have, then set up a system of hangers and drawers and shoe racks that allow you to easily organize your remaining belongings and allow space for new wardrobe items you might purchase in the future. 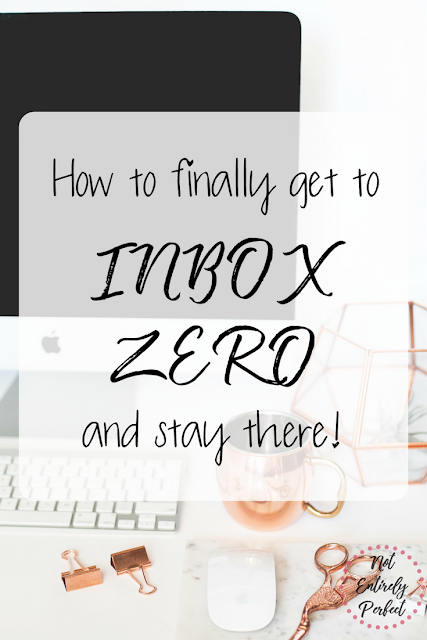 Think of your inbox in a similar way - stop the flood of emails coming in, declutter what's currently resting still in your inbox, and assess the types of emails remaining and create a system for them and for new e-mails that will still come in. How? Glad you asked. The first step in managing your overwhelming inbox is definitely to stop the flow of what's coming in. We want to clear out what's in the inbox currently, yes, but this is also about setting up for future success with organizational maintenance. And it's much, much easier to maintain when there's less coming in to worry about. So unsubscribe, ruthlessly, from as much as possible. Go down the list of everything in your inbox and everything in your recent trash and hit unsubscribe on everything you can. You do not need a notification every time someone likes your Twitter status. You don't need to be alerted to every sale the Loft has (which is, like, daily.) If you subscribed to a newsletter you haven't actually opened in months, get rid of it. Time consuming, yes, but it's the single best thing you can do for yourself and your e-mail sanity. For anyone who has an overflowing inbox and hasn't hit the unsubscribe button on anything in awhile, I recommend streamlining this process by using unroll.me, which is a completely free service. It's simple too - once you grant it access to your e-mail, unroll.me generates a master list of all of your e-mail subscriptions. You're going to be shocked how long the list is, but you'll get through it quick, don't panic. Once the master list is created, you can unsubscribe from anything with one click. For anything you want to keep, you choose to either keep getting them to your inbox like normal, or 'roll them up' into a single e-mail, meaning you'd get just one e-mail a day, at the time you choose, that lists all of these messages you decided to roll up. Shopping related e-mails are a great choice for this. You still want the discounts, but only when you need them - roll them all up! I used unroll.me when I was first getting my inbox under control, but I've since revoked it's access. Sometimes things that they couldn't unsubscribe from got sent straight to trash instead, which is perfectly fine, but I wanted to be more hands on and actually unsubscribe from these tricky buggers, or report them if I couldn't. Now that I'm on so very few lists, I just don't need unroll.me and prefer managing it myself. With the number of e-mails coming in on a daily basis now drastically cut down, you've freed up some time to tackle what's currently sitting in your inbox. 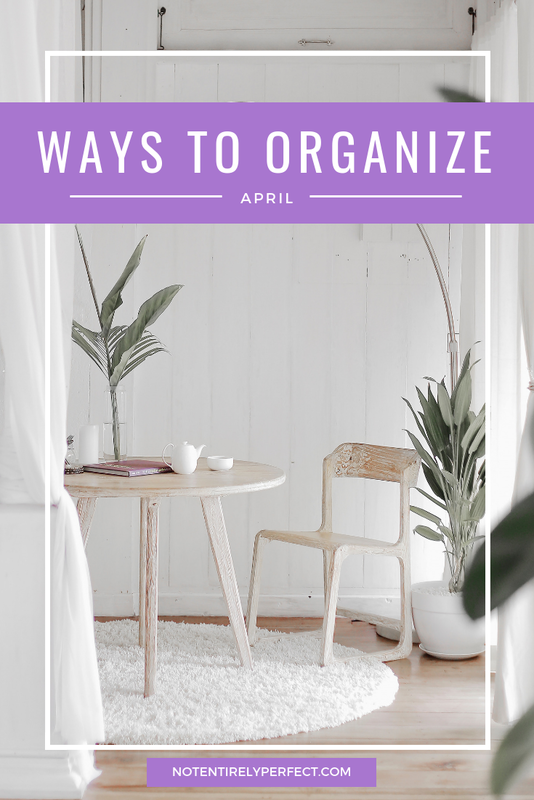 To gain beautiful and quick momentum, I recommend creating a new folder within your e-mail system called Backlog or Old E-mails and move everything single existing thing sitting in your inbox over into that folder. Voila, beautiful Inbox Zero. Okay so it's not that simple, but it is where you start. If you were organizing your closet, you'd need to remove everything first, and it's the same with the inbox. When you have the time, within the next week, set aside a little bit of time to process those e-mails until you've worked through all of them. It'll be time consuming, but just remember that the end goal is never having to do this again, and won't that be glorious? Process them in the same way as you would new, incoming emails, which I'll address in the next section. There's some other options if your backlog of e-mails is massive. You could just decide to keep them all, for reference - don't even touch them. If they've been sitting that long, do you even need to address them? Probably not, but having them in their special folder allows you to access them if you ever need to. You could sort them by date and delete anything that's older than the timeline you pick. 1 month? 3? Whatever your date is, delete everything before that without processing them at all. The most drastic measure is declaring e-mail bankruptcy - not a term I coined, it's even got a Wiki page, so if you need to do this, then know that you are not the first! If you have over 500 unread e-mail messages in your inbox, this may be the most viable option for you. Essentially, you delete everything and start from scratch, letting important people know that you're doing so, so if they previously sent an important message, they should resend it. The way I recommend going about this is to sort by sender - that way, you can see the important people like a boss or co-worker, respond to just the most recent message they sent, and let them know what's going on. If you don't want to admit that you let your messages get that out of control, just blame it on glitches and viruses! 'I'm not sure which message attachments are causing my computer problems, so I'm deleting everything and starting fresh. If you sent something important that I haven't responded to yet, please resend it!' For everyone else, you don't need to say anything - they will follow up if it was important and you didn't respond. Continuously checking e-mail throughout the day is absolutely not the same thing as processing that e-mail. Processing e-mail means that you're making a proactive decision about what to do with it, as soon as you open it. In terms of productivity and organization, it really is best to set time aside each day (or multiple time frames, if need be) to focus on processing e-mail as a whole, rather than reading each message as soon as it comes in. 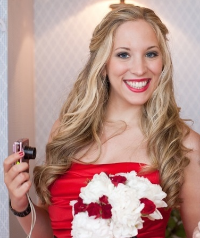 I can't stress enough that you are in charge of your own time, it's not dictated to you by the people and advertisers e-mailing you all day long. The timing of your system is going to depend on your schedule. Personally, I don't check anything after I leave the office - not work e-mails and not personal e-mails. For someone who isn't that disconnected, it might seem harsh, but it's not. People are now familiar with my system and they expect that they won't get a response until morning. There are a myriad of other ways to contact me if something is truly important, and anyone who needs to get me important information at 7 pm knows how to do so. So I process my inbox generally 3 times per day - in the morning when I get to the office, just before or after lunch (depending on the day's activities), and before I leave the office, around 4:30. Weekends? Nada. There are many things I'm a slave to (coffee, Hawkeye), but e-mail definitely isn't one of them! Your schedule will be different, and it might take awhile to get to something like a twice a day method, but it'll happen for you. As for what you're actually doing during these times: going through every unread message and choosing one of the following to do with the message - unsubscribe, delete, take action, or file away. That's it, one of those 4. Unsubscribe and delete are self explanatory and to be used liberally. 'Take action' e-mails are the ones that require an additional step on your end. Responding, scheduling, reading, anything that's going to take up a bit of your time. My goal is to always complete whatever action is necessary during my e-mail processing time frame, as long as it takes no more than a few minutes (3 to 5.) Very rarely does anything take longer than that, but if it does, it's usually related to my day job. For those things, I add them to my work day to do list. You'll get better at this the more often you do it and you'll find yourself breezing through all the action items in just a couple minutes. It's usually newsletters that take longer, so for the ones I continue to subscribe to, I move them immediately to a 'Read This' subfolder, and take the time to read the interesting ones once a week, and delete the rest. For the 'file away' category, it's generally reserved for e-mails you don't need to do anything with but may need to reference at a future date. In my inbox (Gmail), I created subfolders that relate to the things I generally need to keep for some amount of time. Mine are titled Shopping (or receipts and tracking numbers related to online shopping, which get deleted once my package arrives), Blog (anything I bought for the blog, or need to follow up on like promotional requests), and Taxes (self explanatory.) That's it! I don't save anything related to any other topics. You could also make folders based on date or sender, whatever works for you. If you use Gmail and Google Chrome, you may also want to look into Sortd. This is an app that allows you to create drop and drop columns and lists, which makes it very easy to process a large volume of e-mails. It's particularly helpful when you use the same inbox and e-mail account for a variety of things, so you could create a column for newsletters, another for shopping discounts, and a third for blog comments to respond to, or whatever lists suit your needs. I'm a minimalist in many things in life and that includes my inbox, so I don't personally need this. But it's a very pretty and organized option (and free!) if you do. But if it's too time consuming to break your 'file away' e-mails into the subfolders or columns, try just dumping them into one single subfolder. If you find yourself needing to access something you know is in there, just use the search function. You'll access them much less often than you think, so it won't be a lot of work. Whichever system you decide to use, just remember to actually process the e-mails, not just open them and leave them. Make a decision about what you read the very first time you open it. Like clutter in a house, it's the one touch rule: only touch something one time, don't keep picking it up and putting it back, make a decision and be done. You'll be happy you did. I hope my tips help you conquer your inbox. Don't give up if it takes some time to get to where you'd like to be, you will get there! It'll come naturally in no time.